Mt Juliet, TN is a suburban community found in western Wilson County. Located 17 miles east of Nashville, Mt. Juliet gets the moniker "The City Between The Lakes" due to its proximity to Old Hickory Lake to the north and Priest Lake to the south. 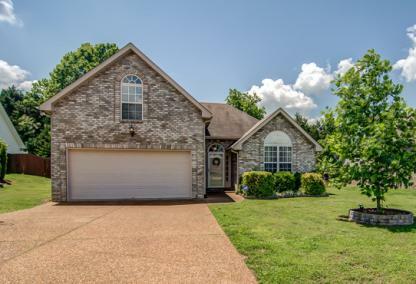 Mt Juliet homes for sale provide homebuyers with affordable housing options that are still within reach of big city amenities and attractions. Residents also enjoy plenty of good shopping in Providence Marketplace and Mt Juliet Crossing. Included below are homes for sale in Mount Juliet. If you would like more information on any of these Mount Juliet homes for sale, just click the "Request More Information" button when viewing the details of that property. We can provide you with disclosures, past sales history, dates and prices of homes recently sold nearby, and more. And, if you haven't already, be sure to register for a free account so that you can receive email alerts whenever new Mount Juliet homes for sale come on the market. There are so many reasons to invest in Mt Juliet real estate. For one, residents here enjoy some of the lowest tax rates in the entire state of Tennessee. Mt Juliet is also one of the fastest growing communities in the area, adding hundreds of homes and new businesses every year. New residents also fall in love with the city's warm and friendly Southern hospitality, which makes you feel at home as soon as you arrive. Looking for a shorter commute? 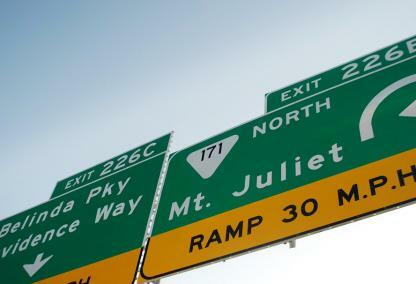 Most Mt Juliet residents enjoy a 20-25 minute drive into Nashville. The community is also just 15 minutes northeast of the Nashville International Airport, offering business travelers convenient access to dozens of popular destinations. Mt Juliet residents can find a much needed escape from daily life in one of its three public parks; Sgt. Jerry Mundy Memorial Park, Charlie Daniels Park, and South Mt Juliet City Park. Combined, the three areas provide everything from recreational facilities to a public bandstand for community events and activities. Mt Juliet is also within close proximity to a trio of state parks including Bicentennial Mall State Park, Cedars of Lebanon State Park, and Long Hunter State Park. The parks offer visitors a plethora of recreation, in addition to historic sites, public boat access, and campsites. If you prefer a little recreational shopping, Mt Juliet has you covered there as well. Providence Marketplace is one of the city's newest commercial and residential developments. Some of the exciting new amenities available to residents include a 14-screen movieplex, in addition to popular big box stores like Target, JCPenny, Best Buy and Kroger.